My father is a technician by profession and a mechanic by hobby. I don’t know whether my brain naturally works like his or I absorbed some of my tendencies simply because of my childhood environment. For years as I’ve worked with my own body and those of others, I alternate between telling people their body is NOT like a machine and on the other hand that they can approach it with a similar sort of logic. Our bodies are complex. Unlike a machine, many of our main functions are driven or impacted by our emotional and mental state. Similar to a machine, our body operates in an understandable, logical order. In my new book, Heal Local: 20 Essential Herbs for Do-it-Yourself Home Healthcare, due out June 1, I talk a lot about how to manage your body’s systems on your own. (You can order the book here.) 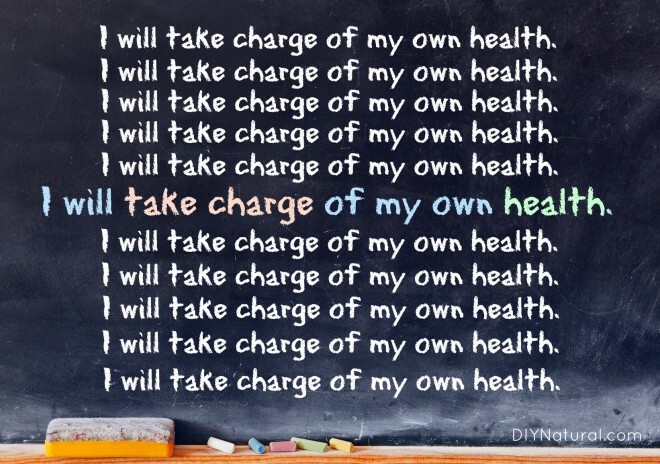 Part of taking more responsibility for your health is learning how to become your own technician. 1. Don’t ignore your error messages and warning lights. That check engine light on the dashboard of our car isn’t there for looks. When it goes on, we don’t pull the wire to the light, we take the car in to find out what is wrong with the engine. When your body sends up a signal in the form of a symptom, it’s not smart to take an over-the-counter medication to “pull the wire to the light” without first finding out what’s wrong with the engine. 2. Keep track of your error messages and warning lights. Your doctor has a file on you that includes your visits, medications, tests, and illnesses. Shouldn’t you have a copy? Do you keep a health file on yourself at home? If not, why? Your file at home should include everything your doctor notes about you, but also everything you know about yourself. Do you tend to get headaches before it rains? What foods do you avoid and why? Until you become the expert on your own body you can never fully advocate for yourself properly. Start to keep a file and the next time you go to see your doctor take it with you. Compare notes, ask questions. They are your consultant, not the keeper of the keys. 3. Revisit your progress with medications on a yearly basis. Just because your medicine works this year doesn’t mean it will next year. Keep a file on the common side effects and warnings. Every year, revisit the health file you’ve been keeping. Is the medication still effective for you? Are you still seeing a reduction in your symptoms or have they come creeping back? Are you starting to see some of the common side effects? Our bodies are constantly changing. Don’t assume that your current dose will always be effective. Don’t assume that if you have no side effects now that you won’t develop any in the future. Stay on top of your medications. Your doctor may only see you a couple times a year. If you leave it up to him/her to see a problem, both of you may miss something. If you have a longstanding chronic health issue it can be helpful to keep a journal. Record your activity, your food, your makeup/deodorant/detergent/etc., and note your symptoms on any given day. When a technician is working to find a problem with a machine they will analyze all the inputs to understand where there is a correlation with a problematic output. Keeping a journal can help you identify a pattern. In reading through a few weeks of journaling you may see that every time you eat peanut butter you have a flare-up of your arthritis. This can help you make changes that eliminate your symptoms. 5. Your choice of food matters! Yes, we all know we should eat better, but have you ever thought about why? Most people think of food in terms of what will make them fat. The truth of it boils down to “garbage in, garbage out.” Your body builds itself every day and it uses the food you eat to do so. What did you choose as your building materials today? I’m grateful to my Dad for teaching me this approach to my life’s work, and for reminding me that this technique is worth teaching others. How about you? What do you do to manage your body’s systems? Yes! I think eating healthy, real foods is one of the best ways to take care of your body and to help it to maintain wellness. This is a decision we make multiple times a day, so it’s never to late to start. Yes i agree, I enjoy a variety of different foods and when eating healthy feel the benefits . My main problem is that I do enjoy ,chocolate ,cake ,crisps and sweets. Naughty i know! I try to limit these products as much as possible and try to make healthier cakes at home.